When the ladies of The View ran afoul of the nursing profession back in September, the sheer force of the backlash that ensued seemed to catch people by surprise. Unless, of course, you actually know any nurses and understand what they do all day—or through the long, lonely hours of the night, for that matter. It’s a physically demanding profession, involving long hours on one’s feet and, in many cases, shifting immobile patients. It often requires quick thinking and a level head in literal life-or-death crises that would freeze most of us in our tracks. Not to mention that it can be downright emotionally grueling, the sort of gig where you evaluate a good day based—quite literally—on whether anybody died. You face people at their most frail, their most vulnerable, their most stressed. And all too often, it’s thankless. 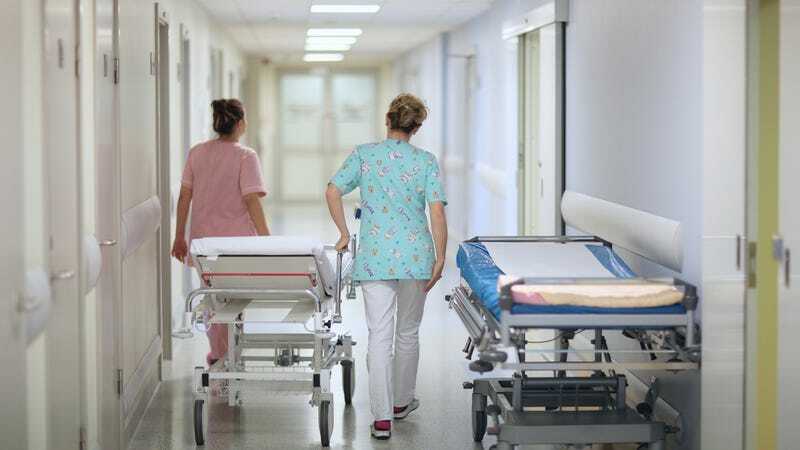 For instance, nurses provide so much of the hands-on care at any hospital, but often people defer to doctors—who’re more powerful in the hospital hierarchy and generally not famous for their humility. I would be remiss if I did not note that the fact that nursing is a field dominated by women, all the frustrations and challenges that entails. Plus there’s the creepy, lingering tendency to fetishize nurses. If you know any nurses, the perpetual nursing shortage isn’t a surprise. Are you a nurse? We want to hear about it. RN or LPN, tell us about it. If you’re not comfortable leaving a comment, feel free to email, and we’d be happy to publish your story anonymously. (Just be careful with any identifying details and patient information, of course.) What’s the biggest challenge you face at your job? What do you wish patients, doctors, hospitals, and the general public understood better? What keeps you going? We’ll select some of the most striking submissions—again, email or comments, whatever works for you—and publish them in follow-up posts.